A huge window floods the master bedroom with natural light. Clever construction allows for the placement of many large windows in the well-designed great room of this home at 43 Woodbridge Dr. 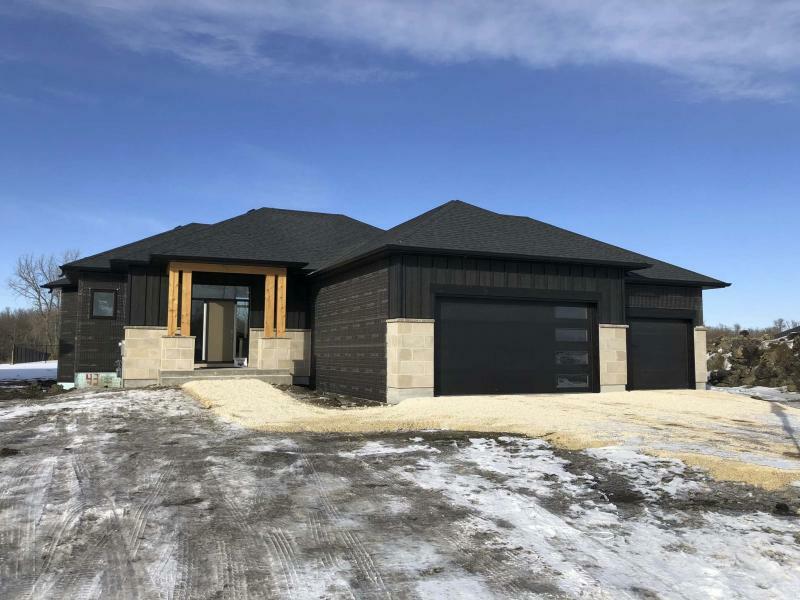 The home at 43 Woodbridge Dr., a raised bungalow entered into the 2018 Spring Parade of Homes, has both style and function in spades. The bright, spa-like ensuite bathroom features a standalone soaker tub. An open-concept great room offers a number of well-defined, logically designed spaces. Some new home designs evolve naturally, while others are born out of necessity. 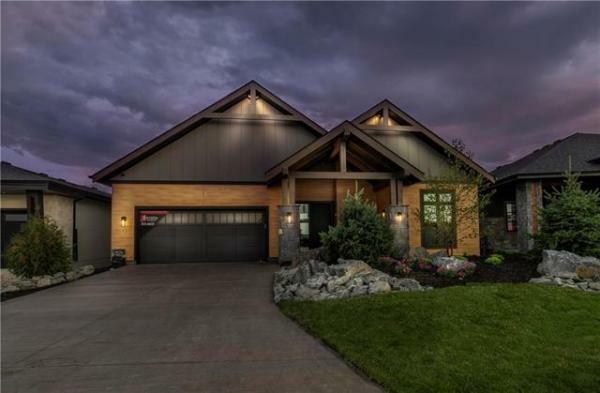 Suffice it so say the design of 43 Woodbridge Dr. — a raised bungalow that Paradigm Custom Homes has entered in the 2018 Spring Parade of Homes — resides in the latter category. "We had to put our thinking caps on for this one," says Paradigm’s co-owner, Jeff Baertsoen. "The rear of the home faces due north, so we wanted to find a way to bring extra light into the great room." The answer? Employ a unique staggered rear wall design filled with a collection of huge windows to maximize light catchment. "The far left wall was angled to the west so it would allow extra light to flow into the great room to brighten it up," Baertsoen explains, adding that co-owner Klaus Schneider was the mastermind behind the design. "Then, we placed another bank of huge (vertical) windows to the right of those windows over the back landing area and lower-level stairwell." A tempered glass wall defines the landing area. 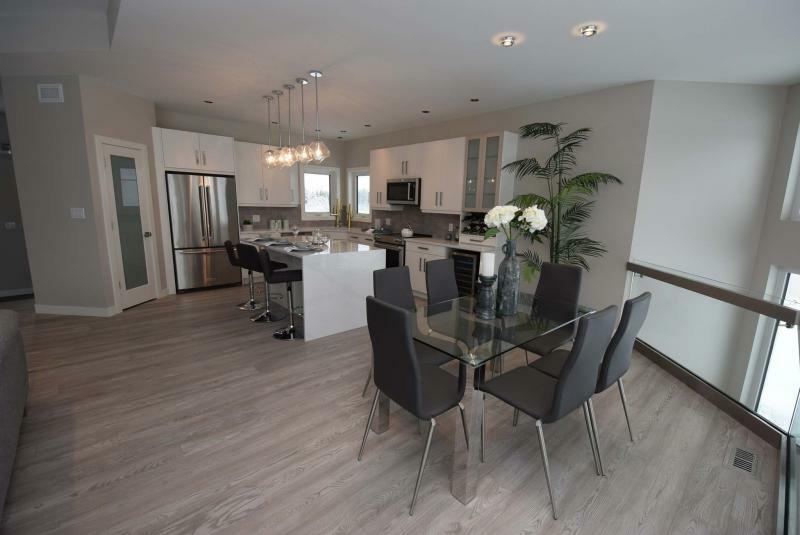 "I love the tempered glass border," says Glen MacAngus of Royal LePage Top Producers, who is the sales representative for the 1,960 sq. ft. home. "It does two things. First, it allows light to flow naturally into the great room. At the same time, the windows over the back landing allow light to flow downstairs into the basement, giving it a walk-out feel." The family room’s rear wall is also ingenious. "It features a huge picture window that lets in even more light," MacAngus says. "Even though the home faces largely north, you’d never know it, it’s filled with so much natural light." There’s no lack of style or function, either. The style comes courtesy of rich finishes, such as engineered wide-plank oak Kentwood floors and a contemporary taupe/white colour palette that’s complemented by well-placed splashes of off-whites, taupes and greys. "Finishes in the kitchen are absolutely gorgeous," he says. 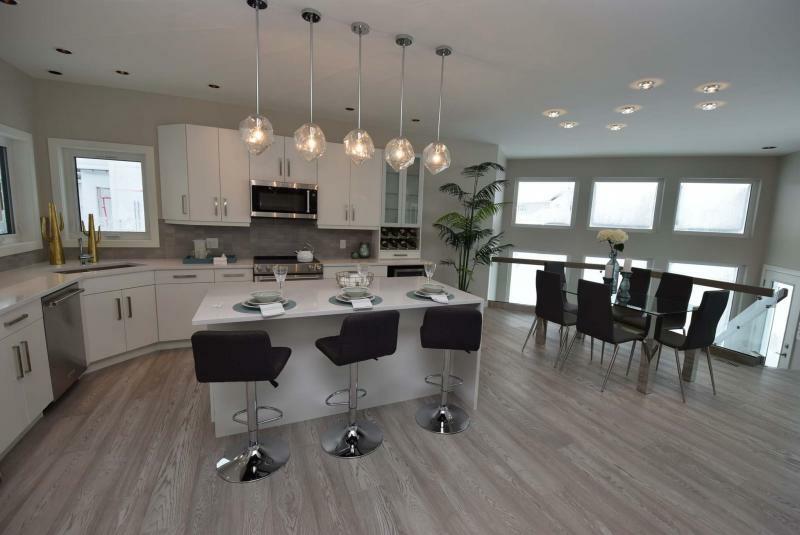 "The (soft-close) satin white cabinets by Kitchen Craft blend perfectly with a grey tile backsplash and off-white/grey Silestone countertops, which feature a beautiful waterfall pattern on the side of the island." Meanwhile, the great room’s function comes from its logical layout. "Even though the great room is open-concept, each space is still well-defined. The kitchen is defined by a mid-sized island with four-foot aisles on either side to maximize flow," MacAngus says. "Then, there’s another four feet of buffer space between the kitchen and the dining area. It’s a great spot to eat breakfast or entertain, set next to all the huge windows." Then, there’s the spacious, tastefully-finished family room. 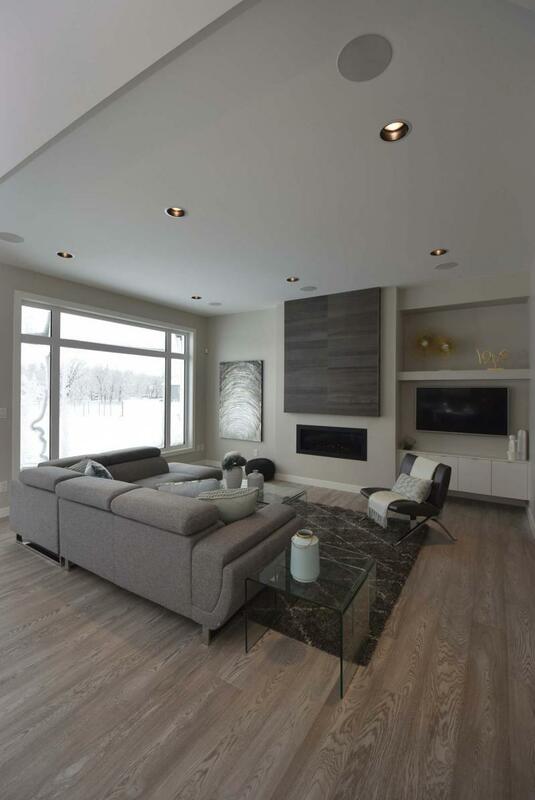 "A tray ceiling above defines it, while a simple entertainment unit — a ribbon fireplace with (medium) taupe tile above next to a cantilevered TV niche with display shelving above and storage cabinets below — finishes it off perfectly." While the main living area was designed to be the vibrant heart of the home, the bedroom wing was designed to provide organization and promote renewal. Set well away from the great room, it’s layout is logical and functional. A combination laundry/mudroom on the right-hand side starts the wing off. 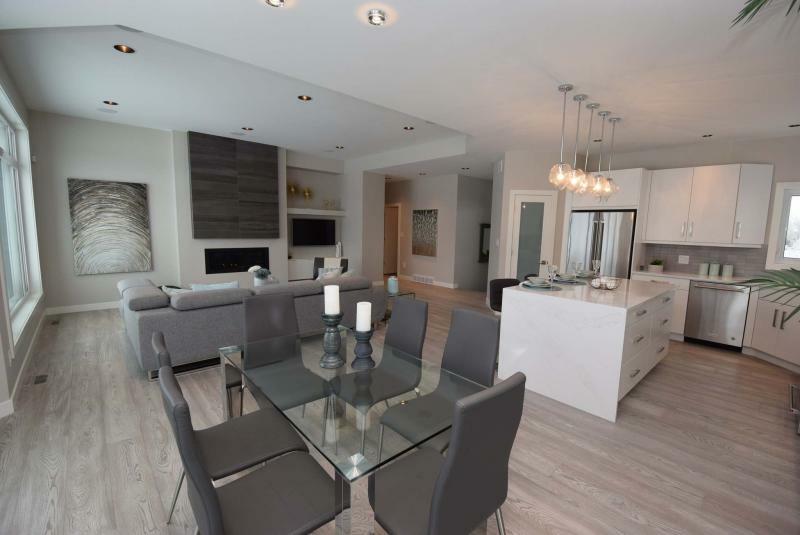 The separate mudroom (with kiddie cubbie locker and double closet) is to the right, door to the triple garage is in the centre, and spacious laundry room with six cabinets and ample counter space is to the left. The next space is a well-appointed four-piece bath to the left, followed by two secondary bedrooms, one placed where the main hallway intersects with a second hallway, the second another few steps down to the right. "Both bedrooms are a good size, and come with huge windows plus walk-in closets," MacAngus says. "They were also placed well away from the master suite to create a nice feeling of separation." Indeed, the master suite is set off in its own private world at the end of the second hallway. A subtle design feature situated just to the left of its entrance amplifies on that private feel, he adds. "The ensuite was placed off to the left, between it and the doorway, to give the bedroom a greater feeling of seclusion. 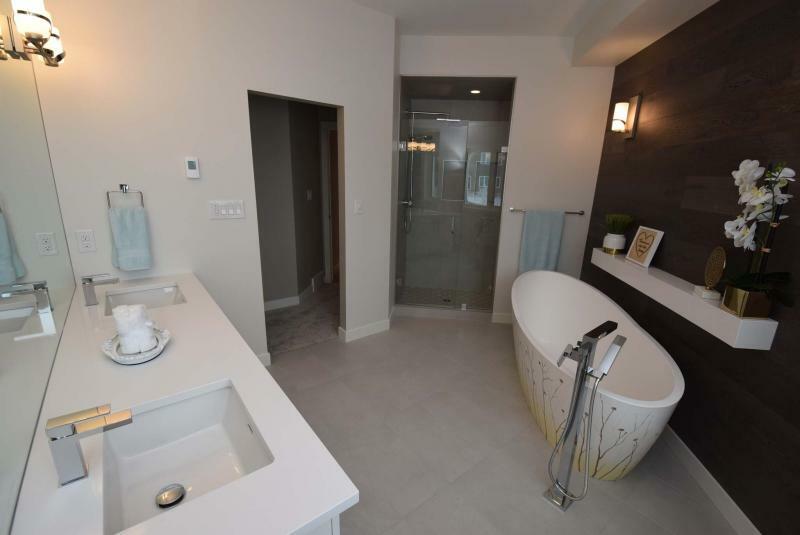 It’s a bright, spa-like space that features standalone soaker tub, with espresso oak feature wall with floating shelving, custom glass/tile shower with (square) rain shower head, tile floor and long vanity with dual sinks." Finally, there’s the bedroom itself. "A huge window floods it with natural light, while a 45-inch Napoleon gas fireplace on the wall opposite the bed can warm it up nicely on cold winter nights," MacAngus says. "And there’s tons of space in the huge walk-in closet, with all its built-in storage. Both the ensuite and walk-in closet can be closed off by barn doors." 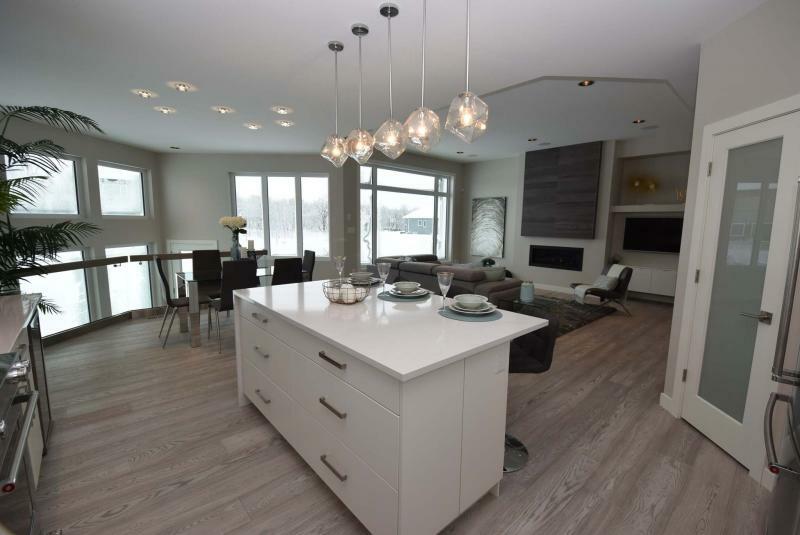 With its structural wood floor, nine-foot ceiling and huge windows, the basement offers more than 1,300 sq. 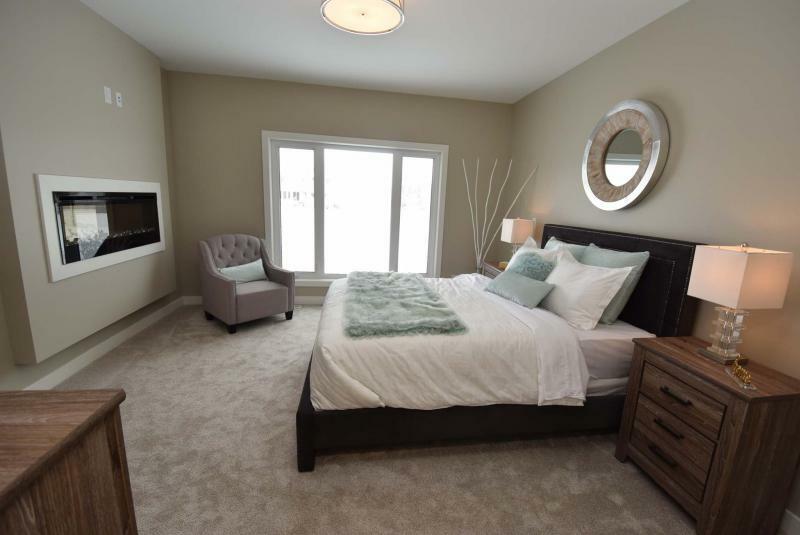 ft. of livable space, taking the home’s total livable space to more than 3,200 sq. ft..